Some people have anger management issues. 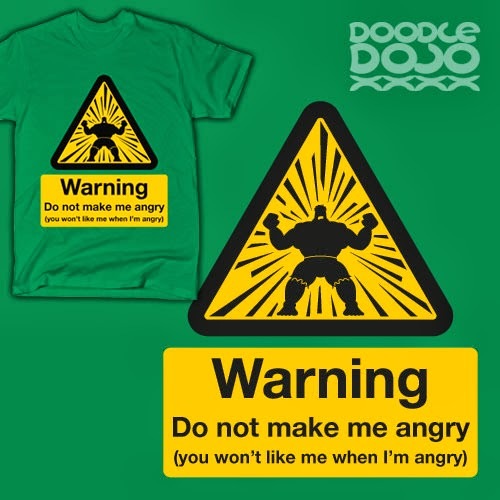 If you are one of those people, then you need one of these T-shirts to warn everyone else when its one of those days. Inspired by The Incredible Hulk and Marvel's Avengers. See more size, colour and style options at RedBubble. You will also be able change the pricing options to your local currency. Also available on iPhone cases, stickers and posters from RedBubble.